Seaside Tote is colorful and trendy tote perfect for a day out at the beach! 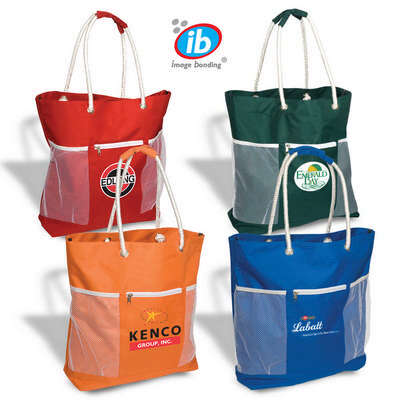 Made with 600d polyester this sturdy tote has zippered front pocket, mesh side pockets and inside zippered safety pouch for all your valuable essentials. The tote has sturdy rope handles with padded grips making it very comfortable to carry, even when the tote is filled to the brim and heavy. 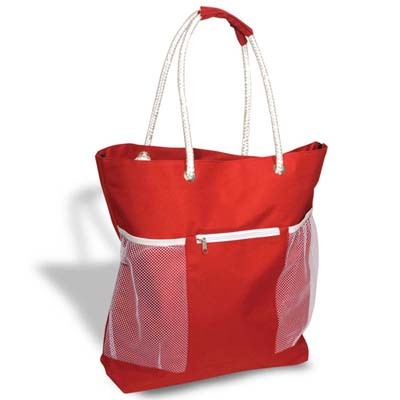 Features a zippered front pocket, mesh side pockets and inside zippered safety pouch. Rope handles with padded grips. Seaside Tote is colorful and trendy tote perfect for a day out at the beach! 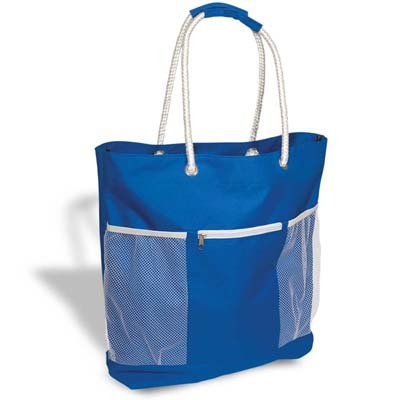 Made with 600d polyester this sturdy tote has zippered front pocket, mesh side pockets and inside zippered safety pouch for all your valuable essentials. 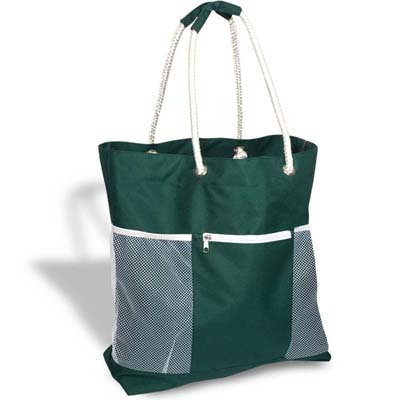 The tote has sturdy rope handles with padded grips making it very comfortable to carry, even when the tote is filled to the brim and heavy. Give a fillip to all your promotional activities flaunting this tote with your logo neatly imprinted for maximum exposure.